Are you worried about whether your community will run out of water? Scientists are discovering potentially alarming levels of naturally occurring radioactive particles in groundwater around the world. The Great Lakes supply water to 40 million people in the United States and Canada, and are facing challenges from both invasive species and pollution. Fresh drinking water is becoming a rare natural commodity along the coast, where limited supplies and saltwater contamination pose a double threat. Scientists are developing new techniques and rethinking old ones to explore for new sources of groundwater. Extracting and studying DNA from the bones and tissues of extinct animals opens an evolutionary window into the past. Everything from unethical behavior to personal bias can affect whether the best science goes into formulating science-related legislation. Mounds of federal legislation are on a fast track to passage or rejection, with little open debate or deliberation. Answering basic questions about the world’s water supply is more complex than it may seem. The largest earthquake in the seismographic record hits Valdivia, Chile, and sends tsunami waves thousands of kilometers across the Pacific. Virginia Beach, Va., is one of many coastal areas facing a burgeoning population. More than half of the U.S. population and about 40 percent of the world’s population live within 100 kilometers of a coast, and that percentage is rising every day. 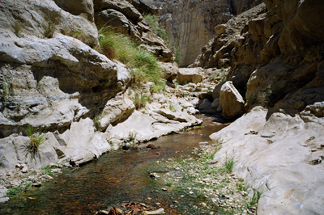 This growth can lead to water supply problems, such as saltwater intruding into freshwater aquifers. 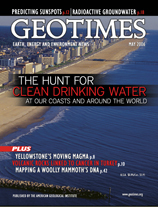 Read about global water challenges throughout this issue. Photo is courtesy of Virginia Beach Tourism.